Trauma will be published and released to the general public on May 12, 2015. Author, Michael Palmer, passed away suddenly in October 2013. His son Daniel Palmer picked up the story idea and finished the book. Daniel would have made his father proud, because the story was seamless and entertaining. 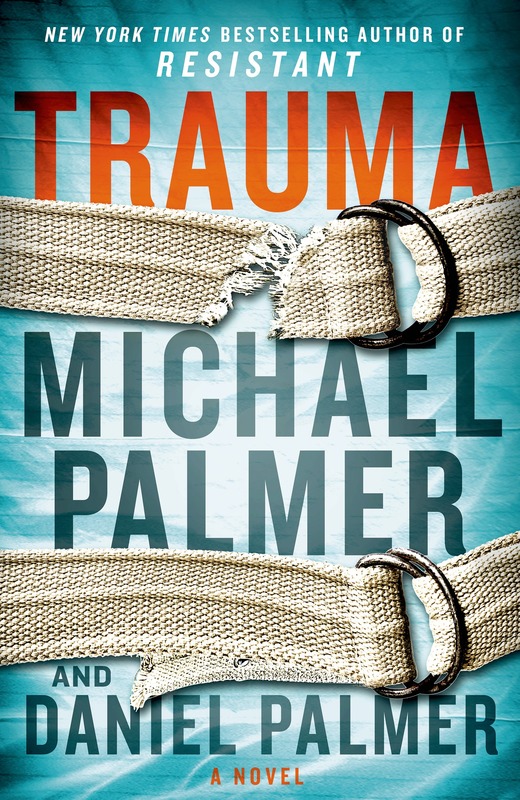 I had recently read Michael Palmer’s medical suspense thriller Resistant, and Trauma was just as good. Dr. Carrie Bryant is a neurosurgeon left to pick up the pieces of her career after a terrible accident during a routine brain surgery on a patient, of which she is at fault, though the circumstances are very unfortunate. She moves back home to her parents and brother, a vet who is suffering from PTSD. Carrie soon joins forces with Dr. Alistair Finley, a well-respected neurosurgeon with the VA, to perform what is presented to her as ground-breaking brain surgery to reverse the affects of PTSD. As with any great medical suspense thriller, things are not always what they seem. After two of the patients who have received the surgery have rather adverse side effects and then disappear from the hospital, Carrie, along with a resourceful (and single, hunky) journalist, David, begin to investigate even as the situation becomes more dangerous. I wasn’t a huge fan of the ending, but the story was fast paced and kept me intrigued. Well done, father and son Palmer! Every Fifteen Minutes will be published April 14, 2015. I enjoyed this book very much. It was a fast paced read, and most of the story line occurred over only a matter of a few days. The main character, Dr. Eric Parrish, is a well-known and respected psychiatrist and Chief of the hospital unit. Dr. Parrish goes out of his way and above & beyond the call of duty to help a new teenage patient, Max, who is very troubled after the death of his grandmother and main caregiver. Eric’s comfortable life at home and at work then starts to quickly spiral out of control. Can Eric trust those closest to him? Or will he have to save himself before it is too late. The ending packs a big punch, as there are two major twists that the reader doesn’t expect…or at least I didn’t expect! Lisa Scottoline has once again written a winner.